Last Sunday, I did something cool. As a matter of fact, I left my cave of a room in Canary Wharf and travelled west to Hyde Park for the most lovely experience. 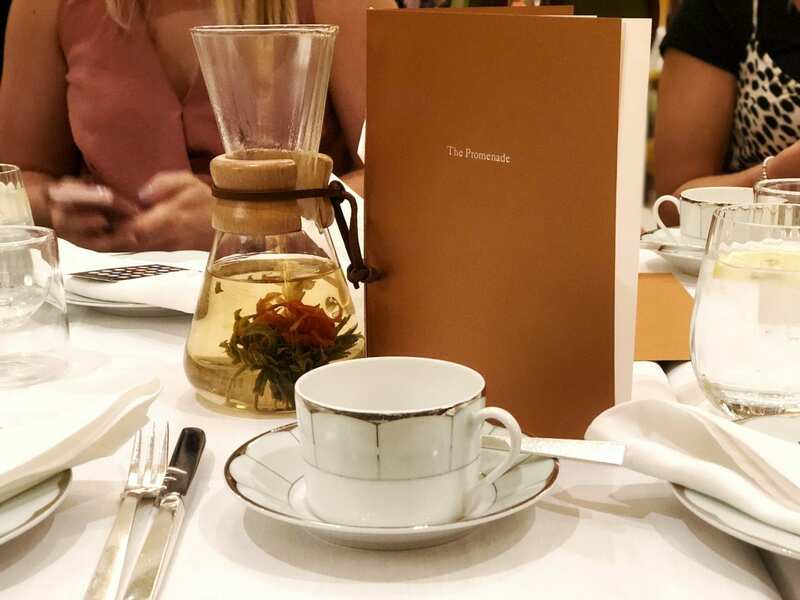 Me and a few other lovely bloggers were invited to an afternoon tea at The Promenade within the Dorcester, which is a hotel near Mayfair! I’ve got to be honest though… I have never been to a blogger event on my own before the afternoon tea! Yes, never! Can you believe that?! I either always have a plus one or am a plus one myself. Thus, you can imagine how challenging it was for me. As my Instagram bio says, I might look super outgoing and chatty, I am actually a bit shy. I am improving though! Furthermore… it is always good to challenge yourself! And you know what? I did, and I had a blast! There was not much to be afraid of. You say hi, introduce yourself and naturally start to talk to everyone. Bye bye shyness! At least, for this time! ! 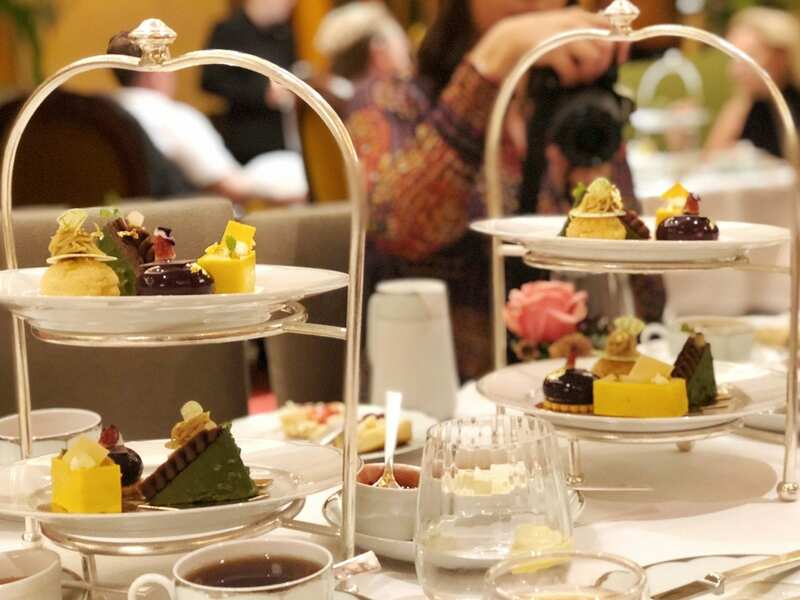 I was invited to the afternoon tea along with seven other London bloggers that I had been following on Twitter or Instagram! It is always nice meeting the persons behind social media accounts in real life! And have a nice time all together around some delicious food. Speaking of the food… that’s what we were all for, am I right?! We waiting for everyone to arrive before starting with drinks! The drink menu was so large, a tea heaven! Exclusive tea blends, specialty seasonal teas, rare and limited teas, black teas, flavoured black teas, green tea, flavoured green teas, oolong teas, white tea, etc. And all your usual hot drinks. I chose one of The Promenade’s exclusive teas blends called “The Dorchester Afternoon Blend”. It is a special blend of single estate teas from Sri Lankan orange pekoe, and specially selected leaves from Assam. It was absolutely delicious! I kept on asking for more! Really, I am not much of a tea drinker but this blend was fantastic! Onto the food now… We started with a selection of finger sandwiches. There were five flavors – Deviled eggs with mature cheddar cheese on wholemeal bread; Prawn cocktail baby gem lettuce and lemon balm on white bread Baby; cucumber, fig and cream cheese on basil bread; Norfolk Black Leg Coronation chicken on white bread and Honey-roasted York ham with clove and orange marmalade on multigrain bread. I found the sandwiches super light and very easy to eat. I am quite food lover and when I like something, I like to get more than one. So I got a few sandwiches in each flavour! My favorite was the prawn sandwiches! Loved it so much! Even though I was feeling getting full, I did not feel heavy at all! And I could have eaten some more! They were just too delicious! Next where some scones – plain or raisin. I am not the biggest fan of raisin or any dried fruits for that matter, but still tried both! And loved them both! Gold, shiny and beautiful on the outside, with an amazing texture inside. I am new to the scone game. Indeed, I discovered them upon moving to London back in 2015… so I did not have much time to experience them all! I tried to bake scones once though… and did not succeed! They are so tricky to make! But delicious with some Cornish clotted cream! I have developed quite a strong love for baking. And no, before you even ask, it has nothing to do with being French. It could have as pastries are part of the French culture. That’s what I grew up with. But no. My love for baking and pastries is actually quite recent… I’d say 2016 when I watched the Great British Bake Off for the first time! What a revelation! I am now a fan! Pastries, love to make them, love to eat them. We each got a selection of four miniature pastries. A Quince and yoghurt cake with a Lemon sponge and vanilla mousse; a chestnut and apple choux; a fig and mascarpone dome on a shortbread biscuit, decorated with an eatable flower and gold leaf. And a mint and chocolate cake. The chestnut and apple choux was my absolute favorite! It was so light and airy, a bite of pure happiness. Also, apple is one of my favorite fruit to bake with! Second favorite was the fig dome but all four were amazing treats! The master mind behind the pastries? The Promenade’s new pastry chef, Sarah Barber. Her style is modern patisserie, using classic flavours in a refined feminine style. She is always looking to push new boundaries of technical skills and create things that taste as good as they look. Afternoon tea menus are seasonal and change every three months. This menu is available until November! Hurry up if you want to taste it as tables get booked very fast! Not even sure two weeks in advance is soon enough! As I said, the menu changes and is also quite flexible. Indeed, they are very accommodating and cater to most dietary requirements to make sure we can all enjoy some delicious treats and have an amazing time! Have you ever been to an afternoon tea? And to The Dorcester? What do you think? Tempted?! Already planning a day out with your friends with a stop at The Promenade? Thanks a lot for stopping by. I hope you liked this post! *The experience was gifted by Hotels.com, but all views are my own. 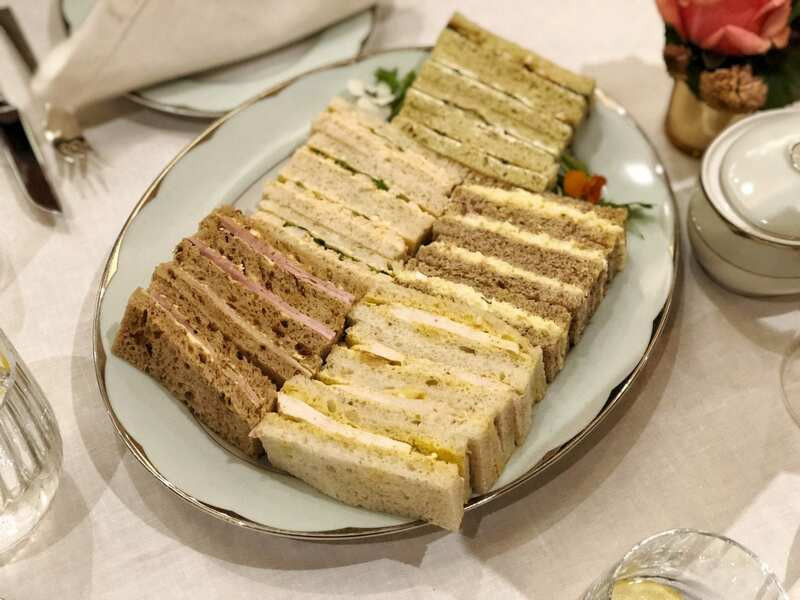 I need to go for tea sometime, all those dainty sandwiches look so delectable. But first I would have to get on my tea etiquette lessons not to embarrass my greedy self. Oh my goodness, that looks amazing and delicious. Yes please! I love having afternoon tea. It’s been ages since I’ve done it and I really should do it again. This looks like such a fun experience. I love tea food! I never been in that beautiful place, but I do love tea afternoons. Your pics are amazing. Whoa! The tea dorcester, your review, the precious pictures are a combination of awesomeness. Loved reading it. This looks like it was so much fun! I have always wanted to do an afternoon tea or something like that but haven’t seen anywhere that does it right by me! 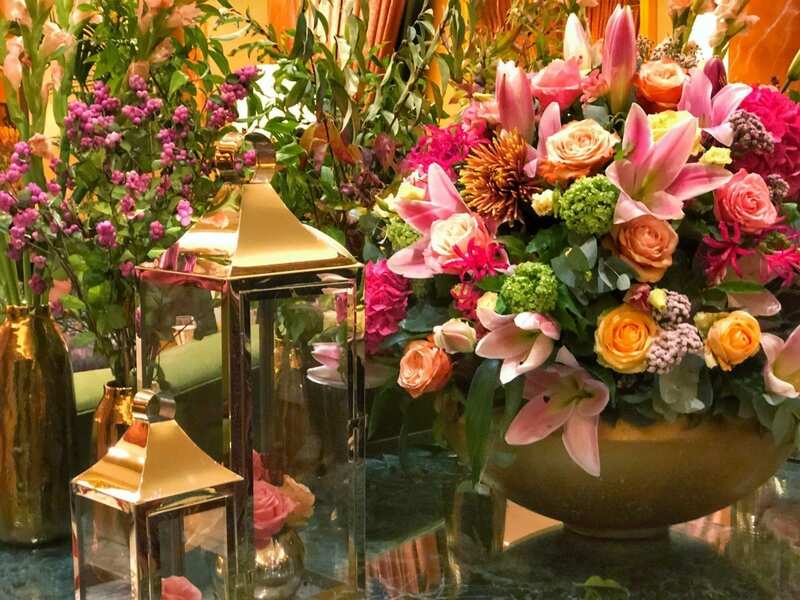 I have been to a high tea before but not at the Dorchester, at a different luxury hotel in London. I really enjoyed the experience. It looks like the Dorchester has some really lovely cakes as well and the scones look delicious. I love tea parties. The food that you had looks incredible, next time take me with. I will be in London next week. This tea place looks so fun. Thanks for sharing! There is nothing quite like an afternoon tea! I am loving the sound of this one at the Dorchester it looks like it has some great options available to choose from. Beautifully crafted. I could n;t agree much but to love the setup. I also work as wedding planner and I can see when the design is not accurate or inaccurate and your pictures shows a wonderful work. When we travelled to London a few years ago, we did afternoon Tea at the Orangery. It was such a lovely experience… hope to make it back there some day!! Oh, I love afternoon tea, I have been to a couple of tea events in my life, the sandwiches are divine and the dessert, omg! It looks like you had a wonderful time. This looks like it was such a good time! I have never been to a tea like this, but definitely would love to give it a try sometime! Oh wow, I love afternoon tea, and reading your post made me can’t wait to do it again! This place looks really beautiful, with pretty food and table setting. I would love to visit this place when I travel to London again. Thank you for sharing this! Everything looks so good!! We don’t have afternoon tea where I live, but my 11yo son is obsessed with the British culture, so I sort of learned how to make tea, and sort of learned how to make cucumber sandwiches. He absolutely loves it!! England is definitely on our bucket list, so bookmarking this to make sure we visit. Thanks for sharing! Wow, so tempting! I haven’t ever visited Europe yet. That is on our bucket list. Everything looks so pretty and dainty! This is definitely something I’d enjoy. I love tea parties with friends. Haha, I rarely leave my cave either, don’t worry! I love afternoon tea and this one looks absolutely exquisite! I haven’t gone for afternoon tea in sometime, I have to do it again soon! This all looked so good, thanks for sharing! It’s great that you got to experience some afternoon tea at The Promenade. 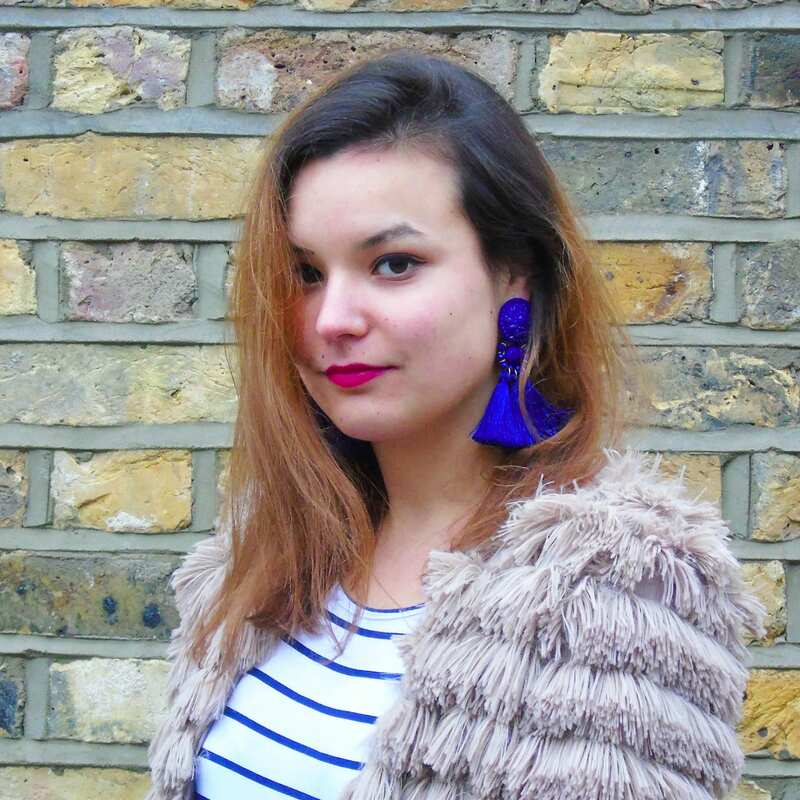 Blogger events sound exciting! Glad you’re stepping it up and meeting other bloggers. The tea looks fancy in that glass container. Glad you enjoyed the dried fruits. Thanks for sharing your experience! Omg, this tea party looks 100% legit! I’d love to visit one day!